Truthfully, it was a bit of a drive from where we live near the Marais Poitevin in the Vendee, but Oradour-sur-Glane had been at the top of my imaginary list of places in the world “to shoot”. A poor choice of terms, I realize. But photoshoots in decaying, urban settings or ruins are actually “a thing”, even if amateur photographers like me must achieve their subject using dubious ways and the most unimaginable backdoors. The village, located in the Limousin area of France, is quite famous among photography enthusiasts. I’d say it is as coveted a subject as the fairy tale worthy, Neo-Gothic Chateau Miranda was (located near Brussels in Belgium, it was -sadly- demolished in 2016), or even Chernobyl (of the infamous nuclear disaster), though Oradour-sur-Glane is much easier to reach, doesn’t require bribes or radiation meters, and once you arrive doesn't require breaking and entering. The invitation is a somber one, etched from the very souls of the six-hundred-and-forty-two who were massacred in the village on June 10, 1944, by the German Waffen-SS, a mere ten or eleven months before the end of WWII. It was General de Gaulle who, when he visited the tortured ruins afterward, said they should be preserved as a reminder to future generations that no good comes from evil, hereby setting free the echoing cries of the people who’d been so brutally murdered here. A year has gone by since my visit there. Until now, I’ve been unable to write about it. Truth is, I was eager to point my camera, which was loaded with a large-capacity memory card, a fully-charged battery (and one extra in my bag) and a clean lens. 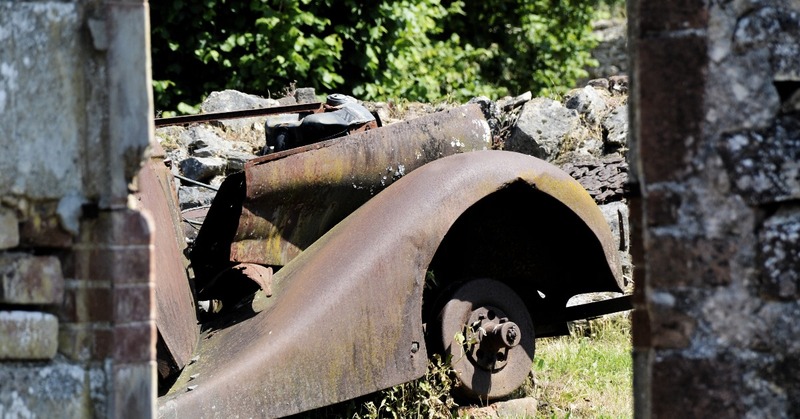 Oradour-sur-Glane! A dream was coming to fruition. I couldn’t believe my luck. Truthfully, this village is a magnificent subject for the lens. That’s me being completely objective. As a writer, I have a job to do. As an amateur photographer, there’s much to learn about camera, light, and software. Combining words with images is the ultimate in creativity for yours truly. 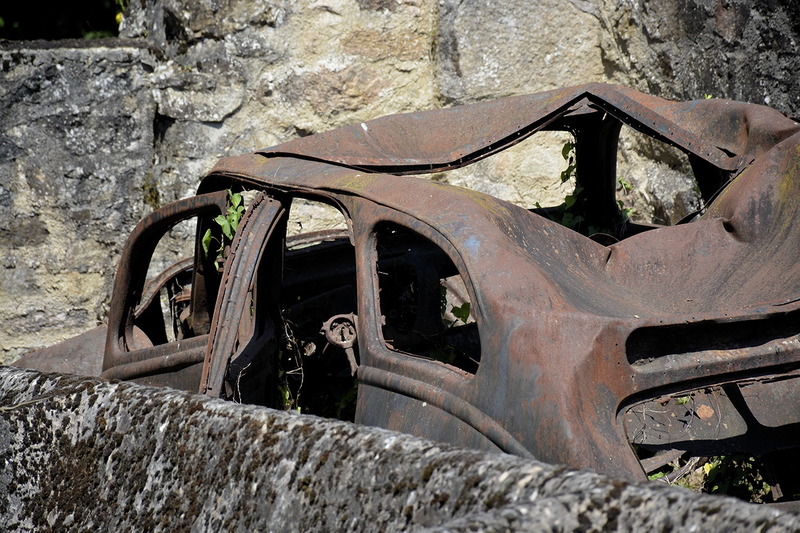 Objectively speaking, from the little rock upon which I sit to observe the world, Oradour represents that ultimate. For half an hour or so, as I walked along the old tramrails, I did my work, being mindful of the light and framing the images. But as the sun climbed higher and the shadows became harder, so did the emotional impact of the tragedy. Each focus and snap of the camera took longer to think about than the one before. 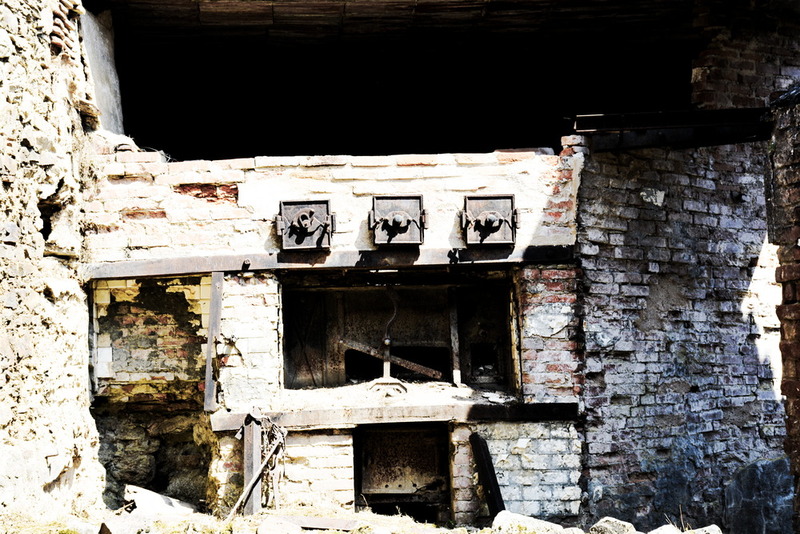 The butcher’s scales, the baker’s brick oven, the village doctor’s burned out car right where he’d been dragged from it that fateful afternoon only to be put to death, filled my lens as it overwhelmed my soul. Staircases leading to nowhere and the remains of many sewing machines, I thought less about composition and sunlight, and more about the feet that had worn down the stone stairs, about the women who’d lovingly mended and sewn their families’ clothing. In my notebook, I wrote down some keywords: coldblooded, calculated, brutal, heartless, macabre, what-the-… and why? 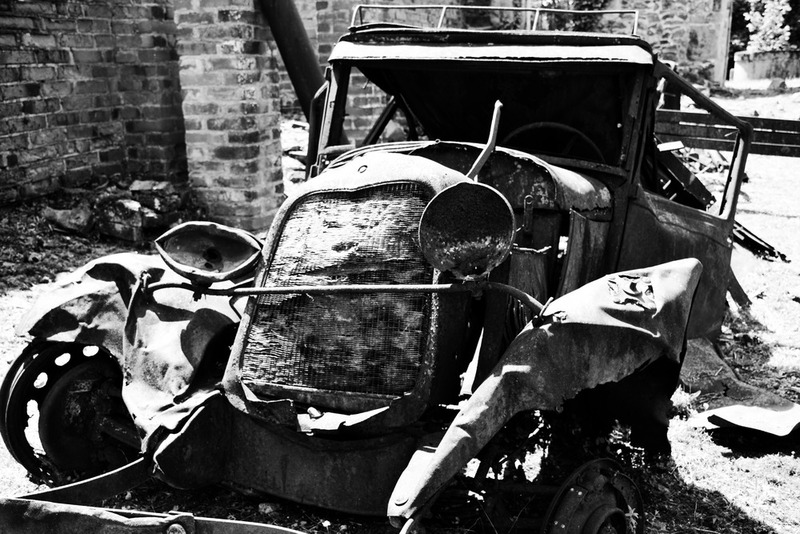 The war was far from over, but Oradour-sur-Glane had lived through the German occupation relatively unscathed. Until around 2PM, on June 10th… just four days after D-Day in Normandy… the village was surrounded by the Waffen-SS, with villagers forced to gather in the village square. At 3PM, the women and children were separated from the men and marched away. At 3:30PM, the men were divided into six groups and taken to different locations in the village. At 4PM, the signal was given for them to be shot. Then one-by-one, every structure was set ablaze. Women and children heard the commotion from the church and after a brief revolt, some were shot, and all were burnt. The handful of people who escaped the massacre, including an eight-year old boy, did so driven purely by their wit, blinding fear, and nerves of steel. 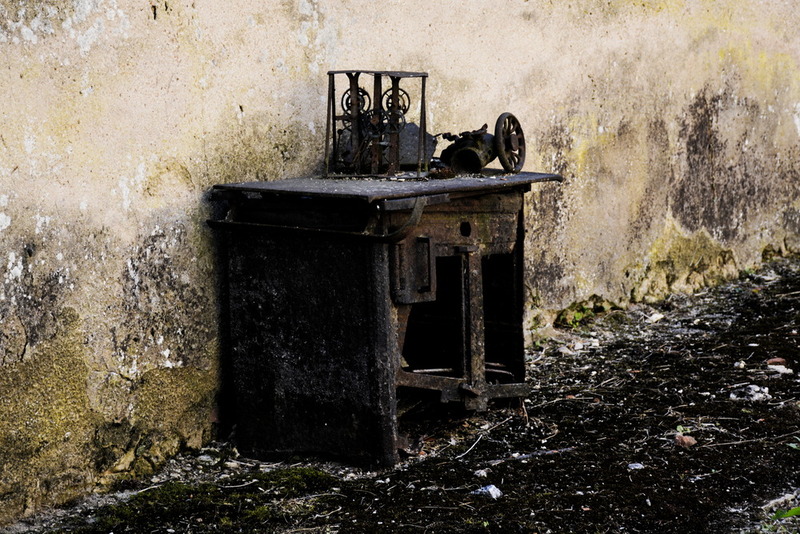 Walking from house-to-house observing gnarled iron bedframes and baby carriages it was, perhaps bizarrely, the sewing machines I found the most moving; they were prevalent, mostly Singer. They seemed an odd connection to the peacefulness of bygone years, unwitting victims like the hands and feet that operated them. Strange how ordinary household items could represent such powerful testament to both life as it was, and life as it would never be again. The heart of the village had stopped beating in just a few hours, less time than it might have taken someone to sew a new blouse for a Sunday afternoon dance. In the church, every nook and cranny were places where women might have tried in vain to protect their children and themselves from the flames, where they might have kneeled in prayer comforted by the very nature of their tomb. The day was hot, and I was thirsty, so I went in search for a spot to drink my bottle of water. For a while I sat in the shade with my back against the angular wall of a post-war memorial to process the things my lens had captured, and everything I’d observed. The youngest person to have been killed was a week-old baby. Probably its mother had given birth in one of those twisted bedframes behind one of the skeleton facades. So many lives, so many families, so much destruction! 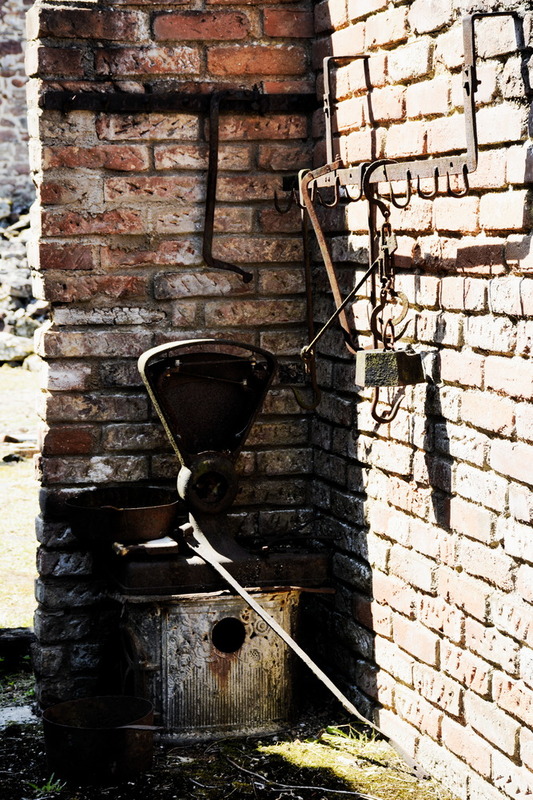 The atrocities in Oradour received little attention at the time. In addition to being burned, the victims’ stories were drowned in the arrival of the allied troops on the beaches of Normandy. 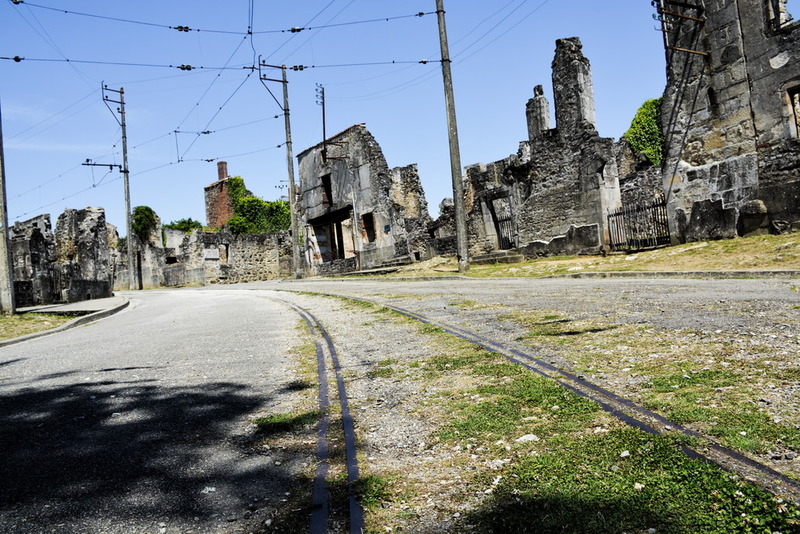 Oradour-sur-Glane will always be on someone’s urban photography bucket list. The village will always remain a silent, poignant reminder to everything we take for granted. Its message is melancholy, but deafening in its appeal for kindness and empathy, not evil, to be the engines that drive humanity. Hopefully the pictures I (and others) have shot here are an adequate instrument in conveying that message; hopefully our work does right by each of the 642 victims whose story the world needs more than ever. 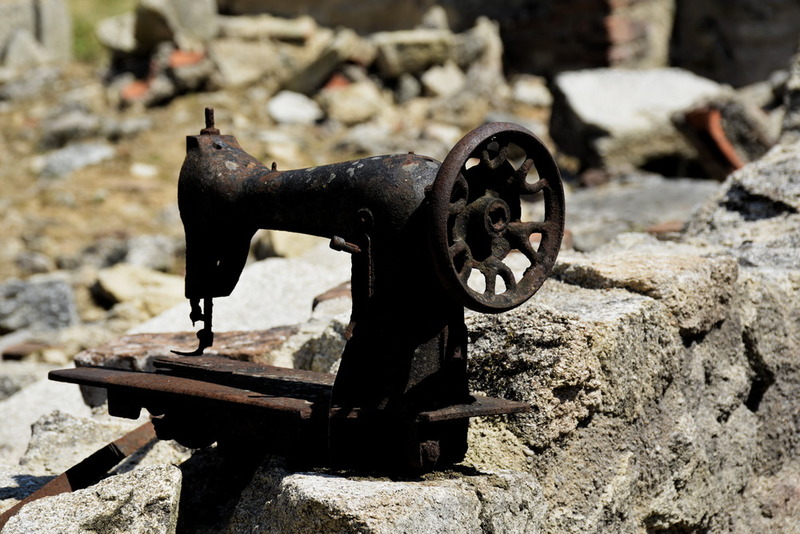 Oradour-sur-Glane is a hauntingly beautiful place… and it is my sincere hope that you’ll visit one day.